Two-time World Poker Tour champion Marvin Rettenmaier announced this week that he is no longer a member of Team partypoker. 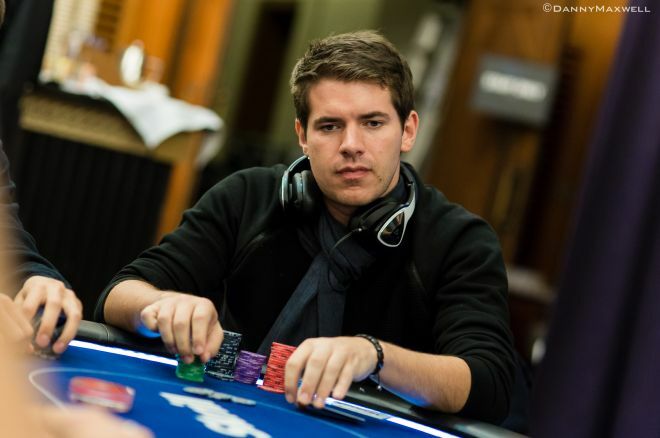 The German poker pro revealed the news in a post on his Facebook profile. "I would like to thank partypoker for the good collaboration and the fun times over the last 2.5 years," Rettenmaier wrote before reassuring his friends and fans about his future plans. "Don't worry," Rettenmaier continued. "Just because I won't be with party anymore, it doesn't mean that I'll need to decrease the partying in my lifestyle - I checked my contract." "Since I won the first tournament with partypoker," Rettenmaier explained, "it's just common sense that I will win the first one without them as well," he said, referring to the European Poker Tour Main Event currently in play at the Grand Connaughts Rooms in London, UK. Unfortunately for him, the plan did not manage to work as Rettenmaier had hoped. His tournament ended on Day 2. Rettenmaier, who right now sits in seventh place on Germany's all-time money list with live tournament winnings of $4,779,113, according to The Hendon Mob, joined partypoker back in 2012, the same year he put together a string of remarkable results that include victories at the European Poker Tour Grand Final in Montecarlo, the World Poker Tour Championship in Las Vegas and the World Poker Tour Cyprus. The split between Rettenmaier and partypoker is only the latest in a series of equally surprising moves that are reshaping the relationship between online poker rooms and professional players. Earlier this year, Ultimate Poker decided to cut the number of sponsored players and parted ways with Brent Hanks, William Reynolds, Phil Collins, Jeremy Ausmus and, most notably, Jason Somerville. Cuts were also carried out by PokerStars as the world's largest online poker room recently ended sponsorship contracts with Marcel Luske, Alex Kravchenko, Joe Cada, Jose "Nacho" Barbero, Angel Guillen and Humberto Brenes. Phil Ivey Rejects Cheating Accusations in Court: "It's Not In My Nature to Cheat"